Are the different prizes equally important? What does this mean for the Nobel Prize’s global reputation? Why has the international media focused strongly on the #MeToo aspects? “It is true that the international media has focused largely on the #MeToo-related aspects. In a way this is not surprising since the crisis began with allegations of sexual harassment directed at a person closely linked to the Swedish Academy, but not himself a member. Because the consequences were not dealt with well by the Swedish Academy, the situation erupted. 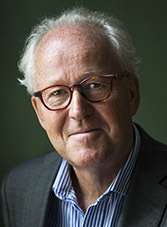 As the crisis evolved other issues have been given more focus in the Swedish debate, such as the conflicts between the individuals involved and more structural, organisational issues that need to be dealt with, related to, for example, rules on confidentiality and conflicts of interest. What will be required to restore confidence in the Swedish Academy? How will you continue working during the year? Why do you think that this situation at the Swedish Academy has occurred? How do you perceive the general public’s reception to the Academy’s announcement?